45 What Kind of a Future? 14 cards. Inserted 1:24 packs. Click here for a complete visual guide to all autographs. Two cards fill in the gap from the Season 1 set. 33 cards. 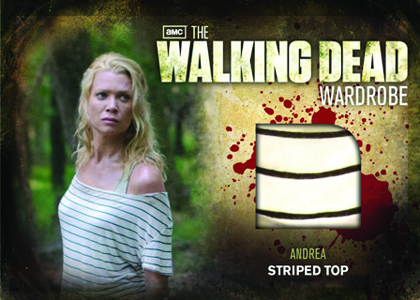 Inserted 1:12 packs (combined with Dual Wardrobe cards). M33 is exclusive to binder and not in packs. 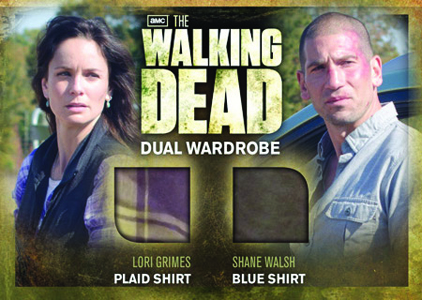 Click here for a complete Wardrobe Card guide and visual checklist. 25 of each card made. 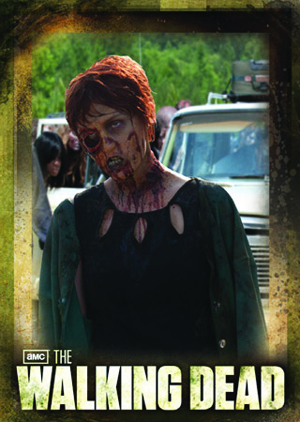 Zombies walk again in 2012 Cryptozoic The Walking Dead Season 2, the follow-up set to last year's phenomenon that lit the hobby on fire. Combining the same elements that made the first set so popular, hits include a mix of autographs, costume cards and sketch cards. 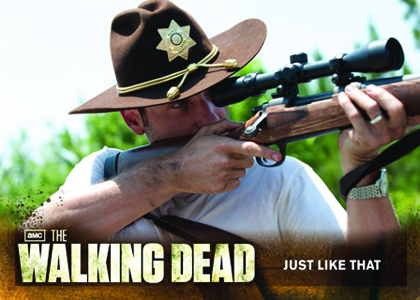 2012 Cryptozoic The Walking Dead Season 2 recaps the show's hit second season and all 13 of its episodes. The main cast returns along with a host of new survivors. Of course, there are plenty of zombie walkers as well. When it comes to inserts, there's a little more variety this time around. Autographs once again fall one per box. Cryptozoic has changed the design, making them vertical. 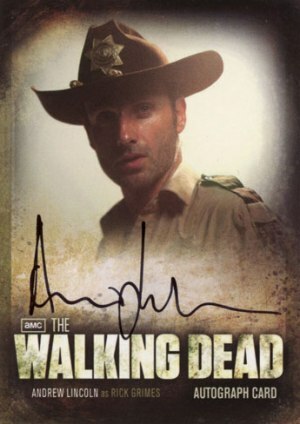 Signers include Andrew Lincon (Rick Grimes) and Sarah Wayne Callies (Lori Grimes), both of whom were not in the first season set. Among the other signers are Gary Reedus (Daryl), IronE Singleton (T-Dog), Jeffery DeMunn (Dale), Madison Lintz (Sophia) and Scott Wilson (Hershel). Other inserts include Wardrobe Cards (1:12 packs), Walker Shadow Box cards (1:24 packs), Foil Puzzle Cards (1:12 packs), and Character Bios (1:12 packs). 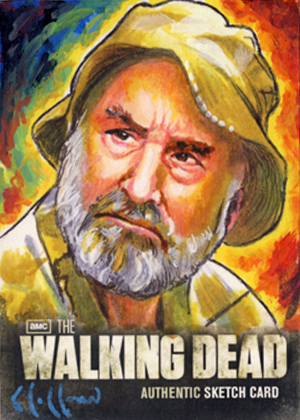 2012 Cryptozoic The Walking Dead Season 2 also sees the return of Sketch Cards as a case hit. Hugely popular in the Season 1 set, these art cards once again fall 1:288 packs. 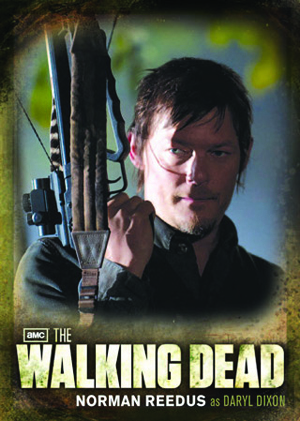 2012 Cryptozoic The Walking Dead Season 2 comes with 24 packs of five cards. 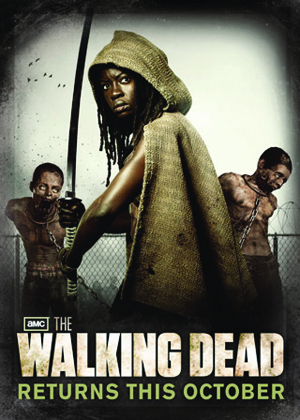 2011 Cryptozoic The Walking Dead Season 1 was immensely popular. Within a couple of months, boxes had more than doubled in price, a testament to the show's tremendous popularity. 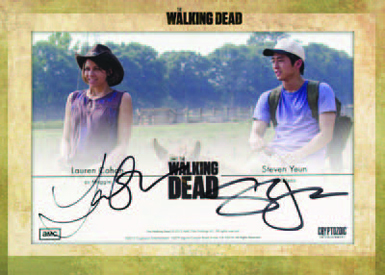 A large autograph checklist that included most of the main cast and case-hit sketch cards drove secondary market sales. 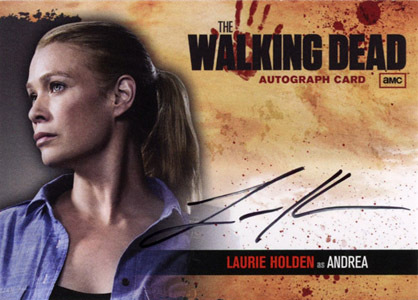 Some autograph sales topped $100 while many of the sketch cards went for several hundreds. "WALKING DEAD SEASON 3 PART 2" SEALED HOBBY BOX FREE SHIPPING!! !